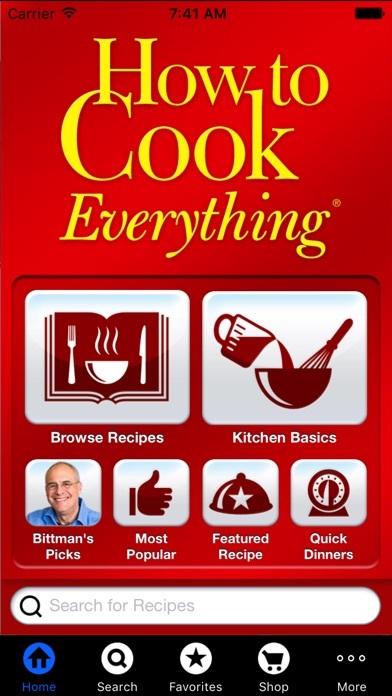 This first-of-its-kind app of the bestselling cookbook—How to Cook Everything® from New York Times columnist Mark Bittman—has 2,000 recipes, 400 how-to illustrations, and a host of features that appeal to cooks on the go. This app is optimized uniquely for both the iPad and the iPhone, making the most of the size, shape, and capabilities of each. (Some features are specific to the iPad only.) In the app you’ll find: • The full content of the multiple-award-winning How to Cook Everything®: all 2,000 recipes and variations. • Bittman’s no-nonsense cooking guidance: how-to illustrations; equipment, technique, and ingredient information; and meal-planning ideas. • Easy-to-use and flexible search capabilities, including enhanced filters and the ability to browse recipes and reference information. • Dedicated layouts for portrait and horizontal views, so the information and recipes are easy to follow—from any angle. • Inspiring photos of weekly featured recipes (iPad only). • Well-organized and email-friendly shopping lists that make it easy to buy ingredients—and whatever other groceries you need at home. 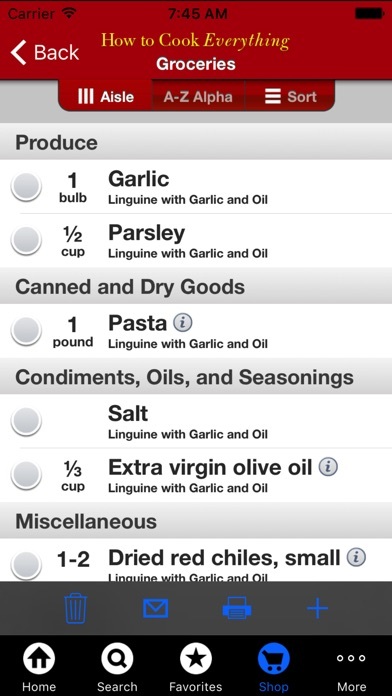 • The ability to bookmark particular recipe steps and jump with ease among recipes (iPad only). • The ability to convert temperatures and quantities to metric. 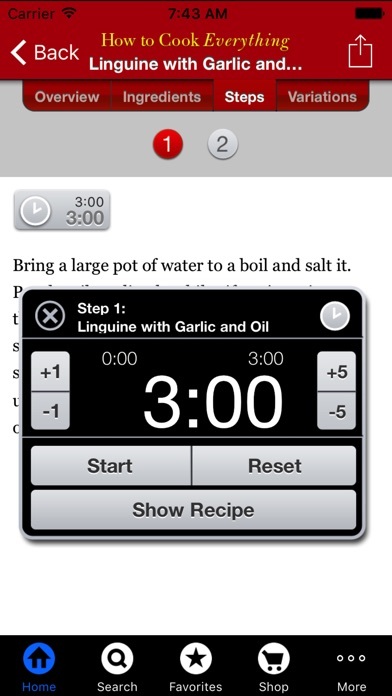 • Handy built-in timers, placed throughout the recipe steps. • A How-To section that provides convenient access to hundreds of illustrated tutorials on a broad range of topics (iPad only). 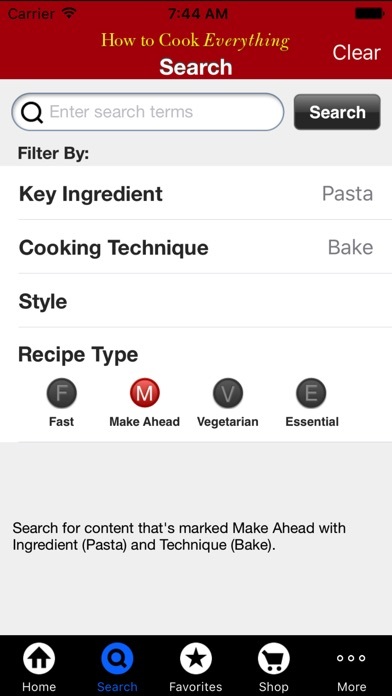 • A notes tab on each recipe that makes it easy to add your own recipe notes (iPad only). • Select quotes from the book with voice-overs by Mark Bittman (iPad only). • A constant-on button to prevent the screen from dimming while you cook (iPad only). • The ability to print recipes and shopping lists and to add recipes to calendars. • The ability to email up to 10 recipes a month to yourself or to friends. • Cooking inspiration: Bittman’s Picks, Featured Recipes, Menues, and Favorites, which provide quick access to selected recipes. • Feed your friends: Integration with Facebook and Twitter allows you to share what you’re cooking with your social network! • Owners of the new iPad: this one's for you. We've updated the app to include a full set of retina display graphics and images to take full advantage of your high-resolution screen. All recipe and reference content is embedded in this app, which means that you can use it even if you don’t have a network connection. The How to Cook Everything app is the perfect complement to the book, an invaluable resource and guide. • • • "The bells-and-whistles of this app are what make it a must-buy, from grocery lists you can email to how-to illustrations. Bittman also makes it nearly impossible to mess up a dish—each recipe step has a built in timer so there’s less chance you’ll forget how long your osso bucco has been cooking." — Bon Appetit • • • Love this app? Check out its companion apps: How to Cook Everything Vegetarian and Cooking Basics. Still use it on iPad 1! If you are running an iPad 1 download this app to quickly reference a bunch of great recipes and cooking tips. I loved the cookbook and love this app for the same reasons. But now that I’ve moved overseas, I see that it converts to metric automatically. What a pleasant surprise! The information is good, but it looks like the app itself hasn’t been updated since the iPhone 5 era. It badly needs an update to take advantage of the new larger-screened iPhones. Excellent and easy recipes, and it still works on my iPad 1. I wonder why people think they need updates to a cookbook. Food doesn't change like software: last year's treats are still just as tasty! They obviously don’t care about the app and supporting it with updates. So, it was a good product way back when, but it’s pretty bad now and it’ll just get worse with time. I recommend getting something by developers who care and are in it for the long haul. Great tool for using what you have to cook! As a non-cook, this cookbook became my go-to resource for cooking & eating healthy meals. The app did not disappoint In helping me maintain that, as well as helping me become more confident to try bigger challenges. Impress a date? Check! Small gathering of a few couples? Check! Complete prime-rib dinner for 17? Check! I’ve been using this app regularly since Mr. Bittman released it years ago. It’s never steered me wrong. 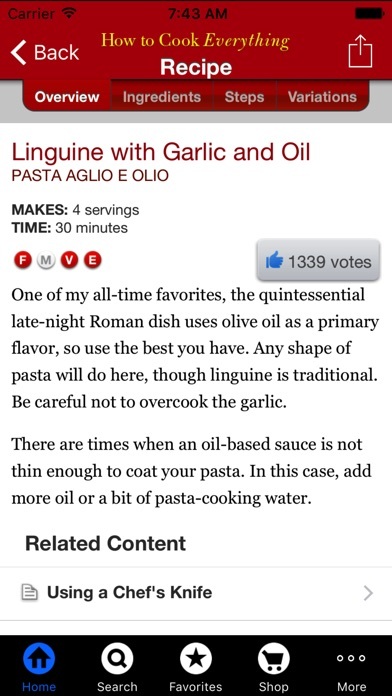 It’s regularly updated and maintained (unlike apps offered years ago by cash-in celebrities like Batali). It’s vast in coverage. Some of the best money I ever spent on the App Store. Thank you, Mark! Great content and easy to use. Please update the app for the latest version of iOS and newer screen sizes. This is an excellent, clear and easy to use app. I have basic, not very fancy cooking skills and this app really helps me along.